What a nice date right, 11/12/13..but it does'nt end there! Ayuapparels have decided to add in a 14 to that!!! Soooo..here comes our 1-Day only STOREWIDE, YES STOREWIDEEEE discount only on the 11/12/13 with a 14% discount! 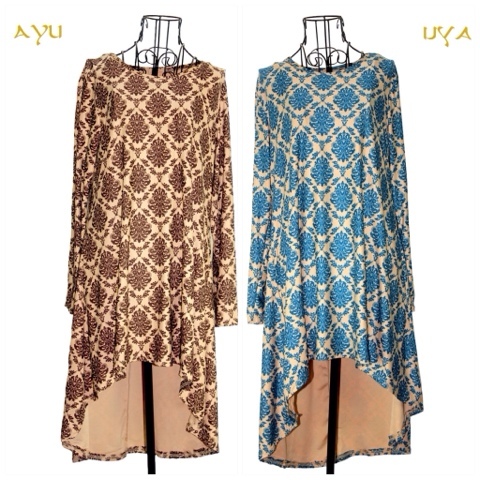 Ayuapparels is always grateful to Allah for giving us a chance to survive in this Muslimah online shop business. 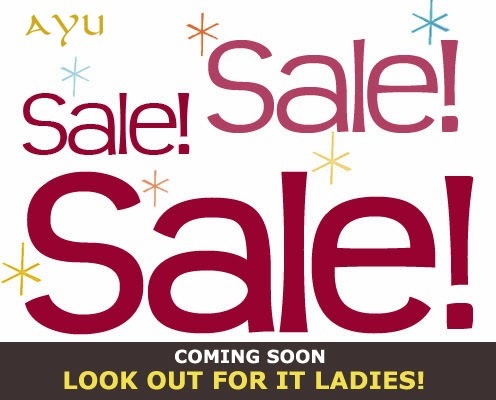 We started out very very small in Facebook with just a girl big dream to one day open a shop for all Muslimah. Alhamdulillah, AYU has managed to get an office like shop at Singapore Thomson V to place our items and for people to come and self collect their orders..I still do hope to bring Ayuapparels to greater heights insya'allah with a bigger real shop that has enough space for fitting rooms, mirrors, seats, etc. I still remember the first time a customer sent a message at Fb saying that she is interested in the shawls that im selling..i felt so so excited! Quickly got up from my seat and called my boyfriend to tell him. Now, believe me when i say i still am very excited whenever someone message, text or order Ayuapparels things online. Hey hey.. I am a big big fan of bags. Went shopping for bags the other day and i thought, why not i get a few more for Ayu fans. So, in the end i managed to pick this design below that comes with 3 colours. I took black for myself and gave the cream-like one to my mom. Simply love the sleek modern design that was achieved with the studs and weaves. The bag is perfect for my ipad, phone, my very thick wallet (due to coins only..hahah! ), tissue, some makeup and my jacket. I prefer using the long strap and sling it but when my shoulder gets tired, i can easily switch to the handle. Who says muslimah cant be trendy? I was searching for a comfortable muslimah wear that could make me look perhaps a year younger (hehe!) or trendy when my eyes were caught on these very very comfy loose blouses..
Why u should get one of these blouses is because firstly, 1. it is colourful. 2. Secondly, the material and loose fit cutting of the blouse. And lastly, it is 3. affordable even for students! If u are lazy like me, u dun have to iron the blouse..it's like those grab-and-go kind of blouse. Easy peasy!! It has been a blast ever since we launched our new site! We really appreciate all of your support and are even more motivated to serving all of you better. Alhamdulillah, things have been running smoothly and we are in the midst of getting more pretty stuff for future launches! That being said, please feel free to give us your feedback or comments regarding your products and service quality. Help us build a platform that you and thousands of other muslimah will love! Hijabs and Shawls in Singapore has always been very limited. What more with the growing online shopping trend in Singapore. Many malay women in Singapore are now left with very few choices when it comes to buying hijabs and shawls online. If you are a modern hijab enthusiast, then you've come to the right place! 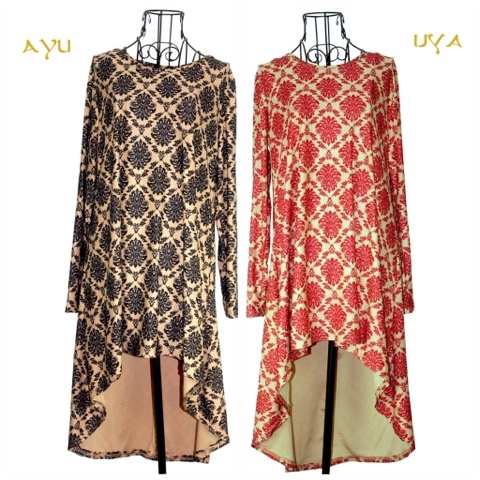 Ayu Apparels is the trendiest muslimah clothing store available online. Here you can find various collections of hijabs and muslimah clothes to cater to your daily grooming needs. From Maxi Dresses to Muslimah Blouses, you'll find it all here. Shopping online can now be the most convenient way for muslimah in Singapore to shop for clothes!